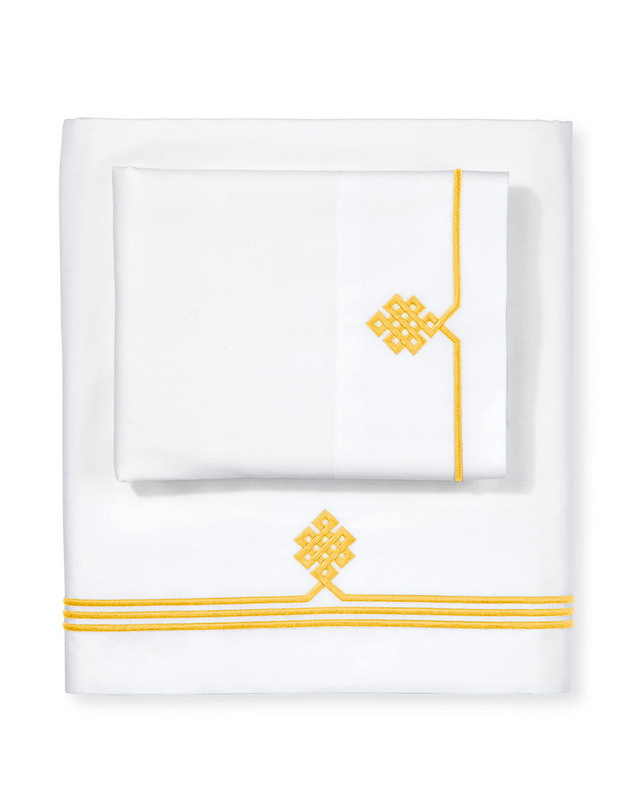 Gobi Embroidered Sheet SetGobi Embroidered Sheet Set, alt="Gobi Embroidered Sheet Set, "
Print Our not-so-basic white sheets make a great foundation for layering color and pattern throughout the room–think of them as classics with a twist. 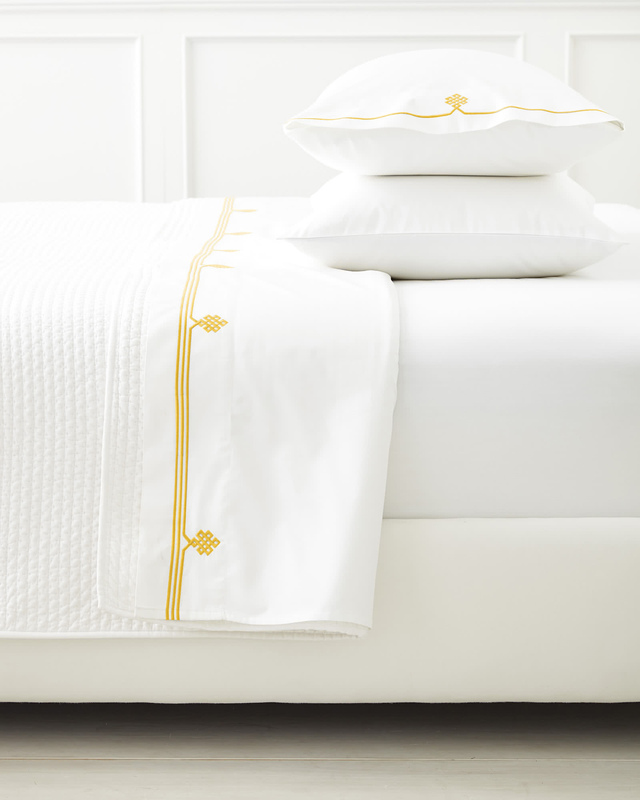 Thanks to 300-thread-count pure-cotton sateen, they're also wonderfully comfortable. An ancient Buddhist motif, representing the endless knot of wisdom, is embroidered in a fun color on the flat sheet and cases.